In the fourth story, Ella is caught in a whirlwind in the tunnel, then finds herself thrown down a long, foggy tube where she hears a voice – of a large black dog who guides her through the mountains. He helps her overcome her fear in some frightening and dangerous incidents and finally leads her to a beautiful, flower-filled mountain meadow, surrounding a golden castle, where she meets her grandma. Back in her own life, she finds another big wish will come true. 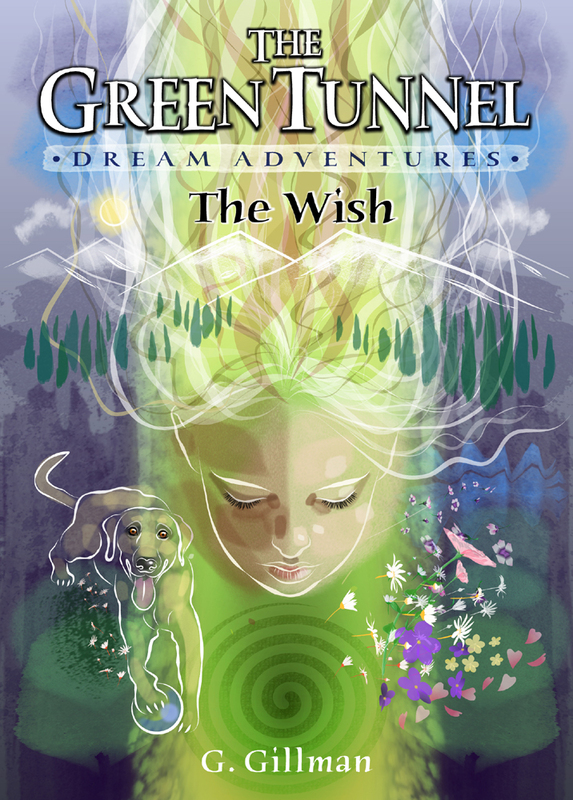 The Wish is the fourth book in the Green Tunnel Dream Adventures by G.Gillman and will be available on Amazon as a paperback, and on Kindle soon.